« *** WINNERS *** Caitlin, Jules, Elena and Linda are Living the Life of Riley! CONGRATULATIONS! Little girls and horses seem to go together like peanut butter and jelly. My daughter loves animals of all kinds, but especially horses. She also finds endless fascination and excitement when playing with her dolls because the world she plays in then is completely of her own creation. Battat is a high-quality toy designer that my family has been enjoying for years, so when I came to learn of their new Our Generation line of dolls, naturally I was intrigued. Battat generously allowed me to review an Our Generation horse named Morgan as well as her faithful friend, Lily Anna. Not only did this 20" posable horse and 18" posable doll look super sweet and inviting for little girls, they came with a ton of appropriate accessories to really kick up the fun. 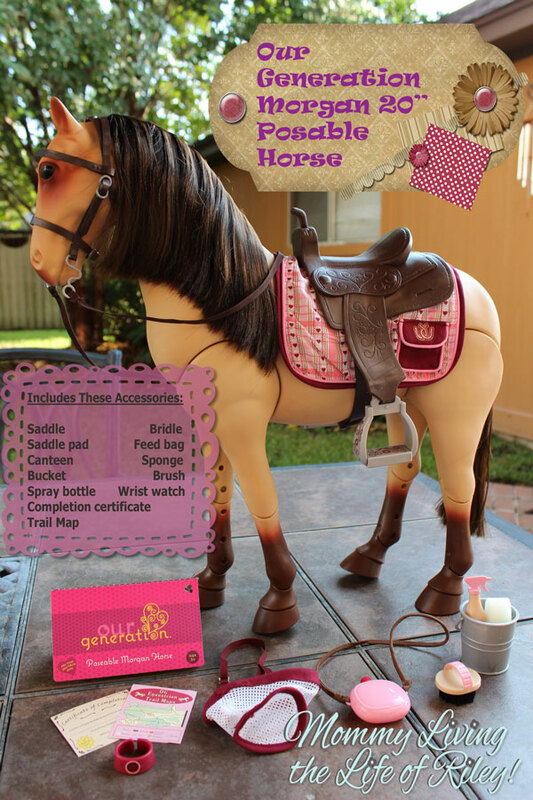 The Our Generation Horse we received is a super large 20" posable equine with a long, brushable mane and tail. This horse comes complete with the slew of accessories mentioned above, including an elaborately detailed saddle and bridle. The hair brushes well with the included brush and the legs can be moved into a variety of poses and positions. Some of the accessories included with the Our Generation Horse are actually intended for the rider though and not the horse herself, such as the watch and canteen. There are still plenty of goodies for Morgan, but unfortunately, the feed bag's strap was not long enough to go around her neck. This bag will have to be held by the doll for Morgan to enjoy. I loved how gorgeous this horse was and how it reminded me of my own love of horses when I was a little girl. Although I haven't given this toy to Riley yet because she will be receiving it for her birthday next month, there's no doubt in my mind that she will totally flip for this Our Generation horse. The only downside I've noticed with this particular toy involves the paint used. It seems to chip rather easily and so if my daughter gets to galloping with Morgan or playing with her on a hard surface, I'm afraid that she'll have quite a few "beauty marks" to show for it. Of course, what Our Generation horse would be complete without some loving little girl to ride her, walk her and take care of her? That's where Lily Anna comes in! 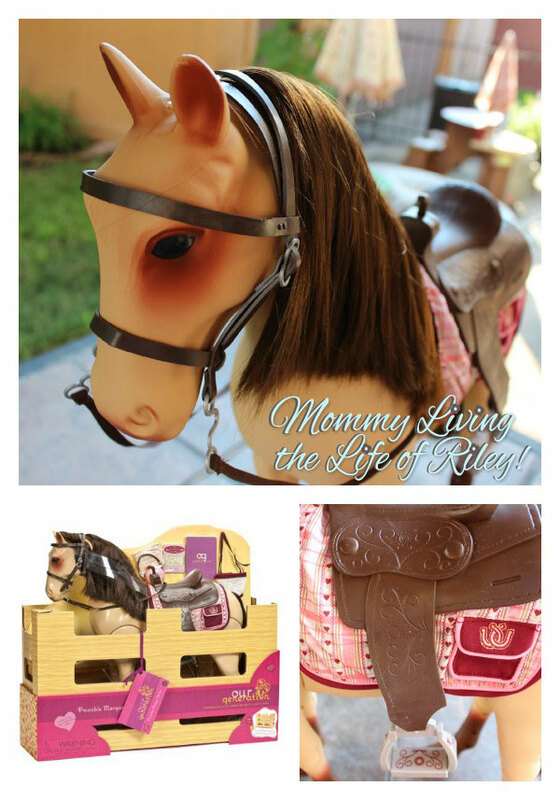 She's a beautiful 18" posable doll that comes with even more accessories and props than her horse, Morgan! 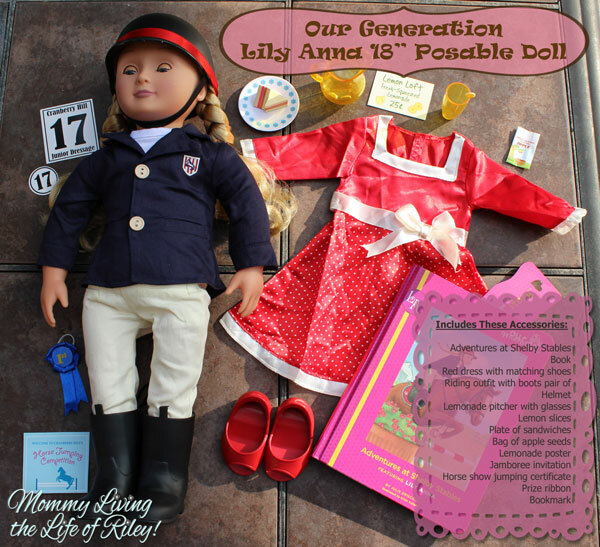 A nice surprise of the Our Generation Lily Anna doll is that her clothing and accessories are completely interchangeable with other 18" dolls, including American Girl dolls. Now Riley will be able to add Lily Anna into her circle of "doll friends". At first, I was a little concerned when I saw the excessive amount of packaging associated with these toys. 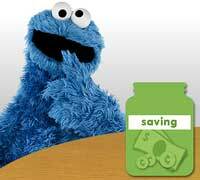 Thankfully, Battat has taken the green route though, for all of the Our Generation packaging is completely recyclable. The good news doesn't stop there. Our Generation also generously donates 10% of the proceeds from any doll or accessory purchased to the Free the Children's Power of Girl Initiative. 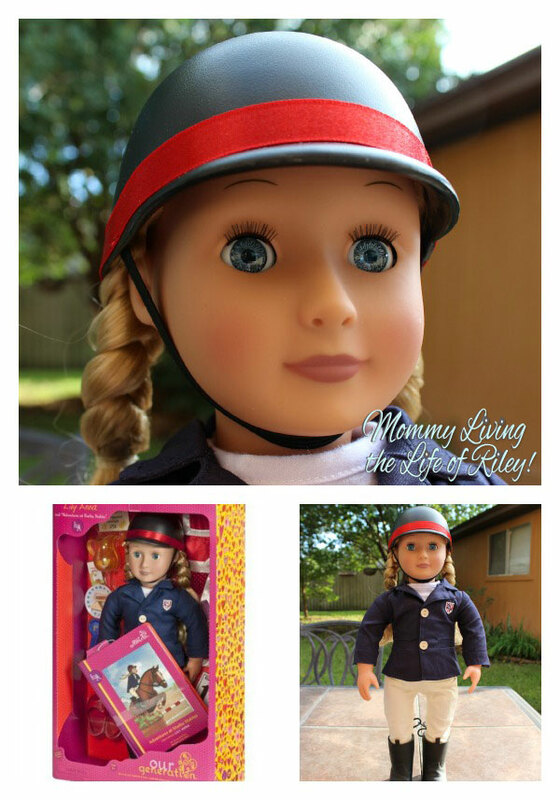 If you know a special little girl with a love for horses and dolls too, then by all means, be sure to introduce her to an Our Generation horse and doll from Battat. I know that these two toys will be the unequivocal favorites at Riley's 4th birthday party! Disclosure: I received the Our Generation Horse and Doll from Battat in order to facilitate my review. No other compensation was received. This garden hose storage review is based on my own personal experiences with this item and is completely honest and objective.